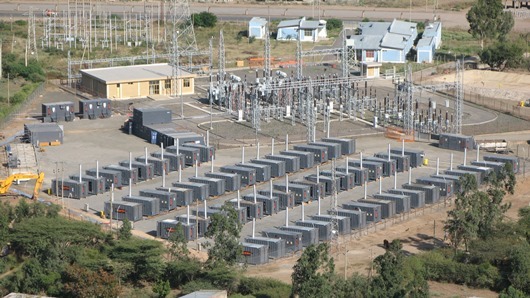 Aggreko is a global leader in generator rental, providing efficient and cost-effective industrial generators and power distribution, including a wide range of specialized generators, transformers and load banks. In 2009 the company approached Ricardo to commence what has become a highly successful engineering partnership. Aggreko’s strategy has been to expand its global presence by making temporary power cost-competitive with permanent generating plant. The key to this is the total cost per kilowatt hour and the ability to operate on widely available supplies of low cost fuel such as marine grade HFO. This was the focus of the company’s work with Ricardo. With the support of engine manufacturer Cummins, Ricardo and Aggreko set themselves the challenge of creating an upgrade path for the existing fleet of 4,500 Cummins KTA50G3 powered Aggreko diesel generator sets. The upgrade needed to be feasible as a part scheduled engine rebuild and needed to be packaged in a standard 20ft container together with fuel handling systems and the existing cabling, transformers and switchgear. Operating on diesel fuel, the new Aggreko G3+ that resulted from this work is believed to be the world’s most efficient engine for utility power, optimized for this application and producing 14 percent more power at 12 percent lower cost per MW than the standard Cummins G3 engine. 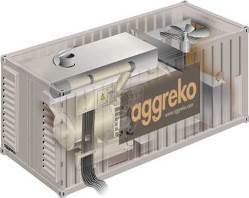 The Aggreko G3+ HFO variant is also believed to be currently unique as a low cost high speed engine capable of operation on heavy fuel oil and provides electrical power at substantially lower cost than diesel alternatives. An extensive engineering programme was completed integrating Ricardo design, engineering and development with Aggreko operations and manufacturing allowing early fleet trial to develop and prove engine and system robustness. As a result, the new Aggreko G3+ HFO provides an extremely robust solution for power customers wishing to avail themselves of the flexibility of containerized, modular power solutions while benefiting from the very attractive cost advantages of HFO operation.